We also stock as a full range of veterinary prescription diets for managing particular medical conditions. We can order large bags of a particular diet if requested. If you would like some advice on which diet is right for your pet, please come down for a chat with one of our nurses. We also make a regular record of your pet’s weights and we can help with any weight loss program. Come and see our great selection of designer collars and leads. We have three ranges to suit all styles: fabulously colourful collars by London based Holly & Lil, the British country style of Mutts & Hounds and a bejewelled Puchi range. We even have some pretty Puchi cat collars! All our collars and leads are high quality leather and are sold at the recommended retail price. 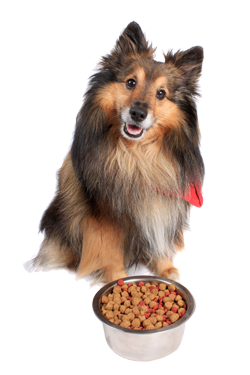 We also keep a variety of pet products such as puppy pads, chews, treats, shampoos, and vitamin supplements.